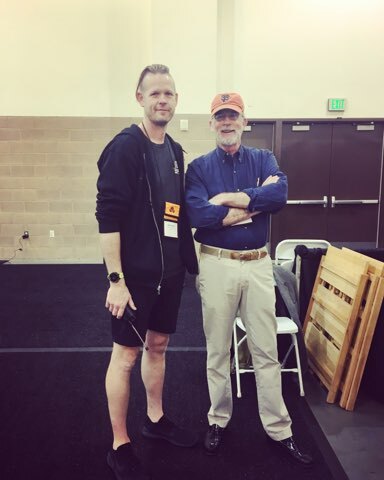 Vic with Brad Johnson of Johnson Rare Books. With the new year being the start of the new book fair season, we always love to indulge and give you a report on our local fairs. 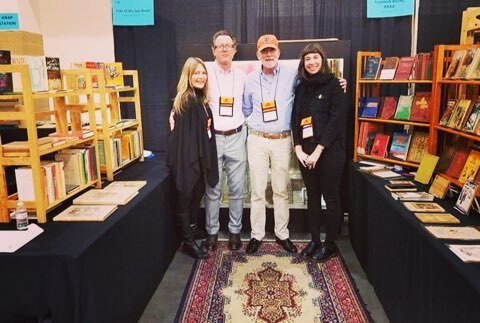 This past weekend, we attended and exhibited at the Pasadena Rare Books LA fair, set up by Brad and Jen Johnson of Johnson Rare Books in Covina, CA. 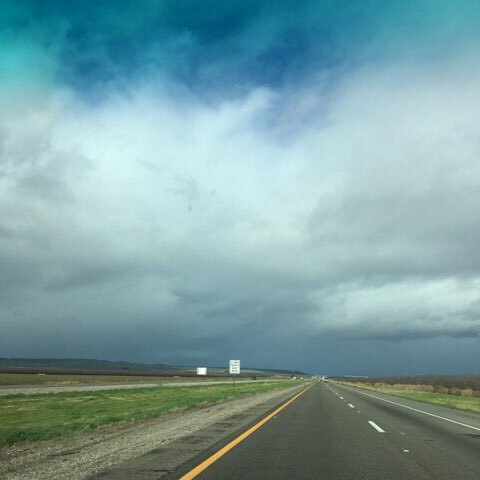 We braved terrifyingly bad weather, accidents all along the drive, and the possibility of pouring rain on our books to support these bookselling and organizing forces of nature (they even had goodie bags for us at our booths when we arrived) – and we are so glad we did! Now, we might be exaggerating just a teensy bit, as there really wasn’t any rain falling on our books, as we were able to unload in the garage, with plenty of help with dollys, unlike other local fairs we have attended! Luckily for us… it meant we didn’t really need to do much heavy lifting. The fair itself was a fun event, us getting to catch up with a lot of our fellow bibliophiles before the Oakland fair this upcoming weekend, and although the sales were a tad underwhelming for us (in all fairness, however, we were saving our big ticket items for the upcoming Oakland fair), it was definitely worth the trip in acquisitions – many of which you’ll be able to see on display at the Marriott this weekend! 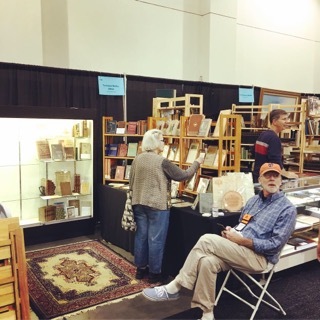 That all being said, many booksellers did have great sales… with one rumor that a seller sold out his entire booth! 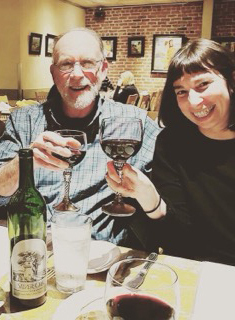 Between the fun of the fair, the ability to put faces to names (for this was Samm’s first Pasadena Rare Books fair!) wonderful dinners, great conversation and magnificent buying… we’d say this fair was worth every minute of our time. Now on to the next! 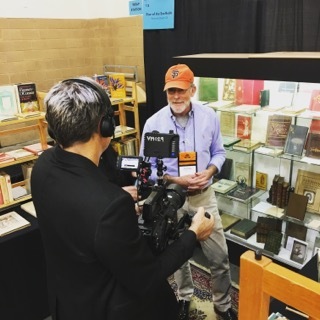 Don’t forget – the ABAA California International Antiquarian Book Fair begins this Friday and continues through the weekend… you won’t want to miss it! And if you were curious to see our shop while you’re in the area, this next week – we are only a few short minutes drive from the fair! Let us know you’d like to stop by and say hi soon. 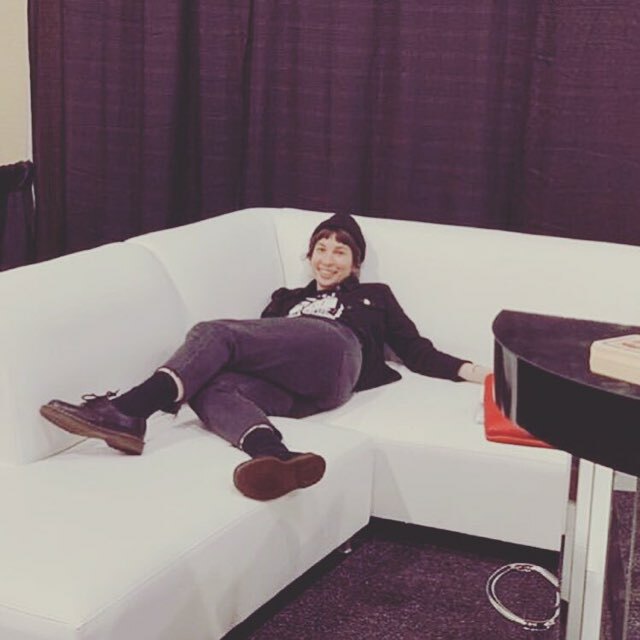 Samm relaxing after a full day of bookselling in the booksellers’ lounge! 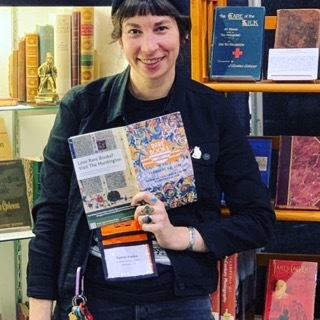 This entry was posted in Uncategorized on February 7, 2019 by tavistock_books.